I tried the 455 as I was so pleased with the 450 - however I could not get it to work in the D3 - I don't remember the details - so be careful, unless you really need 2 connected devices then stick with the proven 450. The BTC 450 works flawlessly though, I have been using it for about 3 years for calls and audio streaming. I've been on the lookout for an ACM. Anyone got any links to one that wont cost a fortune? So that didn't work...sent it back. May well invest then. Track listing is always nice. Ok... still sounds like the way to go tho'. I've tried the Layen 4.1 in the D4 (2011), using the centre console ipod connector lead, and I'm just getting the message 'Device Error'. I don't have an ipod touch (with a 30 pin connector) handy, to see if it's just the Layen playing up. It is a known good unit, and I tried using both of my two connector leads. Does the car software ever cause issues? can I ask how this works before I go ahead and purchase it! What I am trying to achieve is to have the iPhone charging sat in the Brodit cradle on the dash, but be able to stream music and podcasts (without internet connection - stored on the phone) via Bluetooth, with the AUX input in the rear of the centre consul. 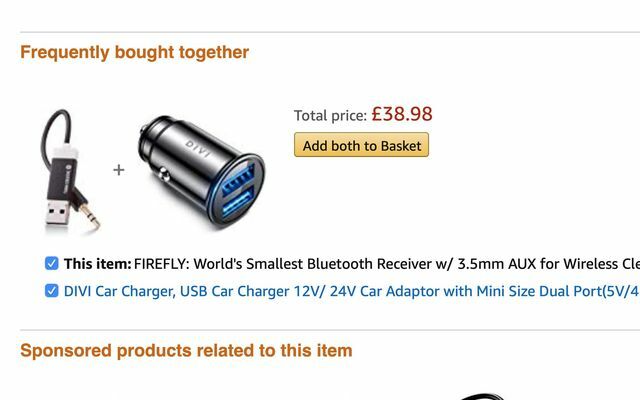 will this FIREFLY gizmo enable me to plug this in, create a BT connection and presumably take power via a USB adapter in the cig lighter. installed it this morning - sound quality is excellent. super easy to use. only negative is that I can't close the little hatch to hide it away so has potential for child damage!!! Sorry Ben didn't see your first message! Glad it works well for you.